PROPERTY LOCATED ON THE CORNER OF HEARTHSTONE DRIVE AND HIGHWAY 82 BYPASS. PROPERTY PERFECT LOCATION FOR COMMERCIAL DEVELOPMENT. ACTUALLY 3 SEPARATE PARCELS THAT ARE 7.6 ACRES. Owner/ agent High traffic corner lot on Deatsville Hwy at a great price in Millbrook. Directly across from the "Front Porch Grill" and just behind the Hwy 14 Hardees. 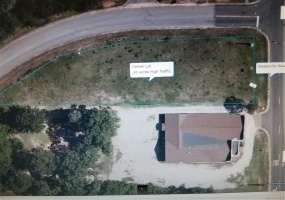 This is 7+/- acres located in Silver Hills. A rare opportunity. Good building sight.Very private. Bring your on builder or build it yourself property is not platted yet so you can set your own restrictions. Plans and Builder to be approved by Seller. Wide. Open. Spaces...15.01 in Pike Road! These beautiful lots are located down the street from Macon East Academy and Bishops BBQ. The land includes underground power, city water, lovely stone entrance and paved road ending in a cul-de-sac. The mature hardwoods and open spaces provide the perfect setting for those wanting fresh air while being close to town. Wide. Open. Spaces...14.56 acres in Pike Road! These beautiful lots are located down the street from Macon East Academy and Bishops BBQ. The land includes underground power, city water, lovely stone entrance and paved road ending in a cul-de-sac. 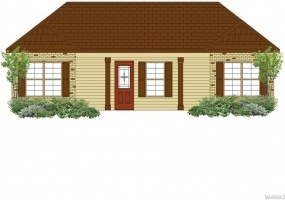 The mature hardwoods and open spaces provide the perfect setting for those wanting fresh air while being close to town. Wide. Open. Spaces...13.45 acres for under $150K in Pike Road! These beautiful lots are located down the street from Macon East Academy and Bishops BBQ. The land includes underground power, city water, lovely stone entrance and paved road ending in a cul-de-sac. The mature hardwoods and open spaces provide the perfect setting for those wanting fresh air while being close to town. Wide. Open. 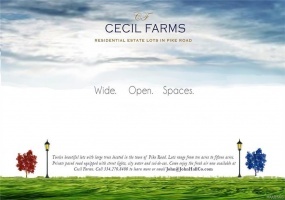 Spaces...12.75 acres in Pike Road! These beautiful lots are located down the street from Macon East Academy and Bishops BBQ. The land includes underground power, city water, lovely stone entrance and paved road ending in a cul-de-sac. The mature hardwoods and open spaces provide the perfect setting for those wanting fresh air while being close to town. VACANT LOT ON NW CORNER OF MARTHA AND DICKERSON ST.. THIS IS ACTUALLY TWO PARCEL'S FOR THE PRICE OF ONE..11-01-12-03-015-027.000 AND PARCEL # 11-01-12-03-015-026. LARGE LEVEL 3.5 ACRE COMMERCIAL LOT WITH 280 FEET OF FRONTAGE ON HEAVILY TRAVELED HIGHWAY 231 WITH CROSSOVER MEDIAN IN FRONT OF PROPERTY. AN ADDITIONAL 157 FEET OF FRONTAGE ON THRASHER RD. AT BACK OF PROPERTY. SIX INCH WATER MAIN RUNS ALONG BACKSIDE. ALSO THREE PHASE POWER AVAILABLE. GET ALL 3. Peace and quiet describes this homestead where you have country living in the city. 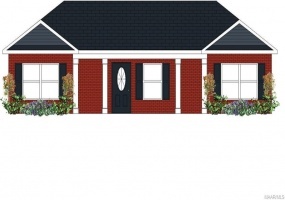 This proposed home is centrally located and is in close proximity to Hyundai, Maxwell AFB, Montgomery Metro Airport, Trenholm State College, Interstate 65, and minutes from downtown Montgomery. 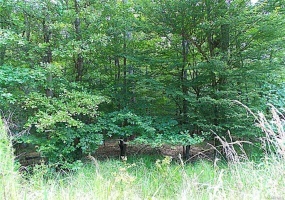 Beautiful, large wooded lot in a highly desirable area of Wetumpka. Smoke Rise subdivision is just 20 minutes from Montgomery, Maxwell, Gunter, shopping, and all of the other places you want to be. Only minutes from all of the downtown and casino activities in Wetumpka. Dining, shopping, schools, and churches are only minutes away. Great neighborhood for walking, running or bike riding.